Purchase your QTM 2017 tickets by clicking on this link! Meeting point to be determined, registrants will be notified. Please wear comfortable shoes and leave plenty of time to arrive at your meeting place! 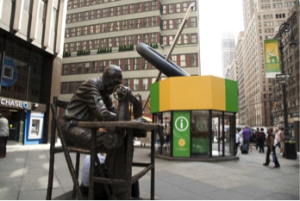 Garment District Tour with RaNae Merrill, Friday, 9:00am-12:00pm. Limited to 15. $40/ticket. 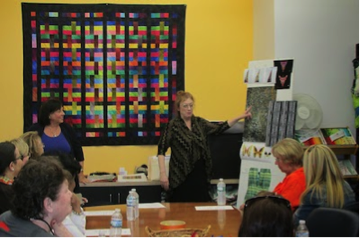 Visit the fabric district of NYC with quilter, author and teacher, RaNae Merrill. 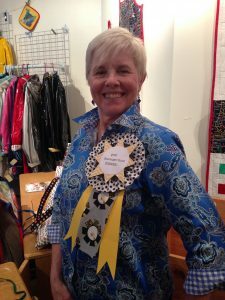 During the tour you’ll visit the office of Quilting Treasures where they will present the process of creating a fabric collection, show examples of recent collections and give you a sneak peek of designs in progress. Then walk through the garment district with RaNae to explore some of her favorite fabric stores as well as bead, trim and notions shops. Garment District Tour with Diane Rode Schneck, Friday, 10:00am-2:00pm. Limited to 15. $40/ticket. 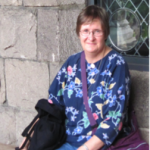 Join NYC quiltmaker and fabric fanatic Diane Rode Schneck for a shopping tour of some of her favorite stores in the Garment District and neighboring areas. Fabric, trims, beads and more, including M&S Schmalberg, Beads World and Mood! Wear comfortable shoes, bring a bag for all your treasures and be prepared to shop till you drop! Friday, 10:00am-12:00pm. Limited to 25. $50/ticket. Friday, 2:30 pm – 5:00 pm. Limited to 25. $40/ticket. Starts and ends at Gotham Quilts, 526 West 26th Street, between 10th and 11th Avenue, New York, NY 10001. This isn’t the sort of scavenger hunt where you’ll have to find some object hidden in a bush in Central Park. Each team will have to go to certain locations and take group selfies doing prescribed actions. We’re still working on the complete list of challenges, but you may have to visit the famous Mood fabric store and take a picture while holding clashing fabrics. Or, get your photo taken with someone walking down Seventh Avenue who looks like he/she ought to be a contestant on Project Runway. The fabric sponsor of this outing is Marcus Fabrics, so you’ll have to visit their offices in the Garment District, and take a picture of yourselves with the free fat quarters they give your group. Event judges will examine cell phone photos from each group leader to tally the results: you can earn extra points for things like a creative team name. There will be refreshments at the end and the winning team members will receive gift bags as well as special winner buttons to wear at FIT on Saturday.There will be five teams of five: you can sign up as an individual, or a group of up to 5 people. We’ll fill out the teams for parties of less than 5. Note: additional information, including start and end locations, will be sent to those who sign up for the Hunt. You’ll receive names and contact information for your teammates a week or so before the event in September, but you won’t get a detailed list of the stops included in the Hunt until it begins on September 15. 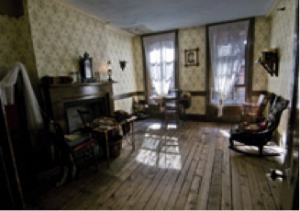 Tenement Museum – “Hard Times” and “Sweatshop Workers” Tours, Friday, 10:00am-12:30pm. Limited to 30. $50/ticket. 103 Orchard Street, New York, NY 10002. Enjoy this remarkable museum with your tour guides. Built in 1863, this tenement building was home to 7,000 working class immigrants. You will visit the restored homes of the German-Jewish Gumpertz family, whose patriarch disappeared during the Panic of 1873 and the Italian-Catholic Baldizzi family who lived through the Great Depression. You will also visit the Levine family’s garment workshop and the Rogarshevsky’s Sabbath table at the turn of the 20th century, when the Lower East Side was the most densely populated place in the world and learn how immigrants balanced work, family and religion at a time of great change.Directions to museum from FIT will be sent via email. Museum at FIT – Curator-led Exhibition Tour, Friday, 10:00am-11:00am. Limited to 25. $25/ticket. Location: Museum at the Fashion Institute of Technology, Seventh Avenue at 27 Street, New York City 10001-5992. Join an FIT curator to explore the fascinating exhibition, “Force of Nature,” which examines fashion from the 18th century to the present and society’s relation with the natural world. 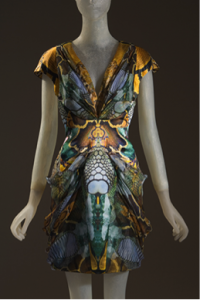 The exhibit features 75 objects from MFIT’s permanent collection, ranging from a 1775 robe to a dress from Alexander McQueens’ last collection in 2010. And, come back at noon for a preview of MFIT’s brand new exhibition, opening later that day: “Expeditions: Fashion from the Extremes.” “Expeditions” looks at a few of the most challenging forms of exploration and how clothes made for survival have become high fashion. Types of expeditions range from deep sea to polar navigation to outer space. The curator-led tour ends at 11 am, but participants are invited to come back to the museum to explore the galleries on their own between 12 noon and 8:00 pm. Tour of the American Folk Art Museum, Friday, 10:30 am – 12:00 pm, Limited to 25. $50/ticket. Location: American Folk Art Museum, 2 Lincoln Square, New York, NY 10023. 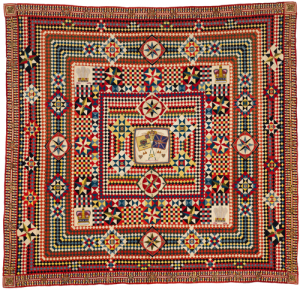 Join Dr. Annette Gero and American Folk Art Museum chief curator Stacy C. Hollander for a tour of this landmark exhibition, the first in the United States to highlight visually stunning quilts made by men during times of European conflict from the 18th through the 19th centuries. The exhibition is drawn primarily from the collection of Gero, a renowned Australian quilt scholar and author of the recently published and acclaimed Wartime Quilts, augmented by examples from Austria, England, and private and public collections in the United States. The earliest examples in the exhibition are spectacular narrative quilts dating to the 18th-century Prussian and Napoleonic wars and made using an unusual inlay technique known as intarsia. The highly complex, geometric textiles on view that resemble marquetry are sometimes termed “convalescent quilts.” These were once believed to have been made as occupational therapy by wounded soldiers recovering in hospitals. It is now recognized that most were pieced by English soldiers, sailors, and tailors to occupy time, be presented as gifts, or as mementos, using military uniform fabric associated with the Crimean, Zulu, and Boer Wars and the British occupation of India. Photo above: Soldier’s Patchwork with Incredible Border. Artist unidentified. India or England c. 1855. Felted wools from military uniforms with beads; hand-sewn, hand-applied bead work, textural layered and hand-appliquéd border. 82” x 88.” Collection of Dr. Annette Gero. Photo by Tim Connolly, Shoot Studios. 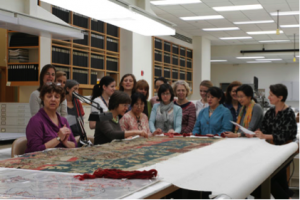 Behind the Scenes at the Metropolitan Museum’s Renowned Textile Center, Friday, 2:00pm-4:00pm, Limited to 25. $50/ticket. Location: Antonio Ratti Textile Center at The Metropolitan Museum of Art, 1000 5th Avenue, New York, NY 10028. The Metropolitan Museum of Art has been collecting textiles since 1879 and owns thousands of important pieces made between 3000 BC and the present including one of the world’s finest collections of quilts. 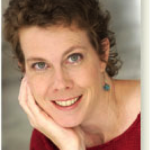 Our guide inside the Met’s Ratti Center will be Amy Bogansky. She’ll show us some of her favorite quilts, guide us through the center’s restoration areas and take your questions. Participants in the tour can spend as much time as they wish touring the museum before and after our event. (The museum is open until 9 pm on Fridays.) You’ll be given instructions on picking up your ticket at the museum and where and when the group will assemble to tour the textile center. Chelsea Gallery Tours, Friday, 2:00pm-4:00pm, Limited to 30. $50/ticket. Location: 526 West 26th Street, between 10th and 11th Avenue, New York, NY 10001. Take a guided tour of Chelsea’s huge collection of art galleries, and socialize with the culturally adventurous. You will visit seven modern galleries in the world’s center for contemporary art! Your tour director, who holds a Ph.D. in arts education, previews 300 exhibits each month and selects the seven most fascinating and varied ones for us to explore. 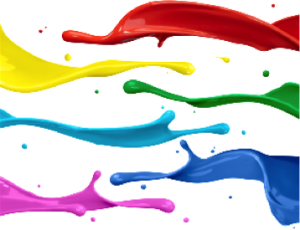 You’ll see the very newest in painting, sculpture, electronic media and photography, by American and international artists. At each stop on the walking tour, your director helps explain the artwork and leads the group in lively discussion. Come out and see what is extraordinary in Chelsea! Quilters Take Broadway: School of Rock, Friday, 7:30pm, Limited to 40. $130/ticket. Location: Winter Garden Theatre, 1634 Broadway, New York, NY 10019. 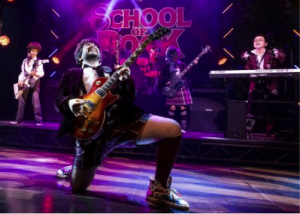 Rock out at Andrew Lloyd Webber’s newest musical! “Based on the iconic, hit movie, this irresistible new musical follows Dewey Finn, a failed wannabe rock star who decides to earn an extra bit of cash by posing as a teacher at a prestigious prep school. There he turns a class of straight-A pupils into a guitar-shredding bass slapping mind-blowing rock band. But can he get them to the Battle of the Bands without their parents and the school’s headmistress finding out?” Come join us for a great time! Group meeting point to be determined, registrants will be notified. Curtain time: 8:00 pm.